Living in Chicago gives you the chance to experience the best life has to offer with incredible arts and entertainment, fine dining, and sports. However, our great city can be difficult on your vehicles with icy roads, blazing summers, high gas prices, and endless traffic. At Midtown Toyota, you will find the perfect vehicle for you and your family within our incredible inventory of Toyota cars. If you’ve experienced rush hour on the Kennedy or Dan Ryan Expressways, you know just how difficult traffic can be. Our notorious Chicago weather doesn’t make things any easier with the windy, cold winters and hot, humid summers. Trying to navigate slick roads and aggressive drivers can be a challenge but you can give yourself the upper hand by driving a dependable Toyota car or truck from Midtown Toyota. Our Chicago Toyota dealers know driving can be tricky and we’re pleased to offer vehicles that include the latest in innovative safety features. Toyota Safety Sense™, using integrated radar and camera technology, comes standard on many new models. You will enjoy features such as the pre-collision system with pedestrian detection, which helps you minimize the impact of a collision or avoid it altogether. Safety is always a top consideration for Chicago drivers, as is fuel efficiency. Toyota cars continue to lead the way in gas savings with legendary models like the 2019 Toyota Prius, which achieves up to 54 MPG city, but even our non-hybrid models like the Toyota Corolla offer impressive mileage numbers. 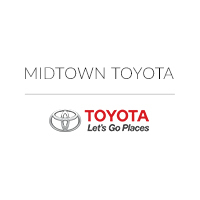 Midtown Toyota has vehicles that are perfect for Chicago’s demanding conditions. The popular Toyota Camry not only gives you exceptional fuel efficiency (29 MPG city) and standard Toyota Safety Sense, it gives you a stylish ride that performs well in the city and beyond. If you are looking for an all-wheel drive vehicle that also provides great fuel savings, you should consider the Toyota RAV4. Ready for your daily commute or weekend escape, the Toyota RAV4 comes with the standard safety innovations and gets up to 30 MPG highway. Our Chicago dealers serving Oak Park, Evanston, and all of the Chicago area invite you to see our Toyota cars that make sense for the challenging Chicago driving conditions. You can find us at 2700 N Cicero Avenue on the Northwest Side.